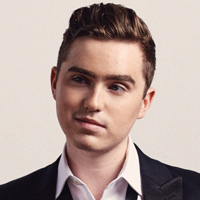 Harrison Craig made his mark as The Voice of Australia Winner in 2013. His first #1 Aria Album, “More Than a Dream” went Platinum and was the headline for sold out shows across the country. His second album “L.O.V.E.” remained in the Aria Top10 album chart for six consecutive weeks. His most recent album the “Kings of Vegas” reached #1 on the Aria Charts and has just completed over 45 shows around Australia. As an artist, Harrison has had the unique experience of working with the likes of Seal, David Foster, Baz Luhrmann, Diane Warren, Barry Gibb (The Bee Gees) and Australia’s own Olivia Newton-John. Harrison has come off the back of his BIGGEST Australian National Tour yet, the ‘Kings of Vegas’ following the release of his third and highly anticipated album ‘Kings Of Vegas’ in 2016, which pays homage to the 1950’s performance era which was pivotal in shaping the entertainment industry as we know it. Kings of Vegas features songs from music legends that include The Rat Pack, Nat King Cole, Elvis Presley and and Frankie Valli. Harrison’s passion for creating a legacy doesn’t stop ; having just written and released his first Children’s Book titled ‘Harrison’s Song’, Harrison has been touring Australia speaking to students, teachers, and parents alike about chasing your dreams, explaining that no matter what your vice or hurdle is, you can overcome that and Live. Your. Dream.